The KRWA conference was highlighted last week in U.S. Senator Jerry Moran's April 8 newsletter. Senator Moran thanked the Association for bestowing the “Friend of Rural Water" award during the conference and KRWA General Manager Elmer Ronnebaum for his distinguished leadership of the organization as well as the many members, employees and board members who make an important contribution to the quality of life in Kansas. He further indicated he would continue to support USDA Rural Development and EPA water programs, that he would continue his work to reduce the regulatory burden on public water and wastewater utilities and would continue to prioritize ways to secure a safer, more affordable water supply for rural Kansans. Are Dams on the Missouri River to Blame for Major Flooding Event? 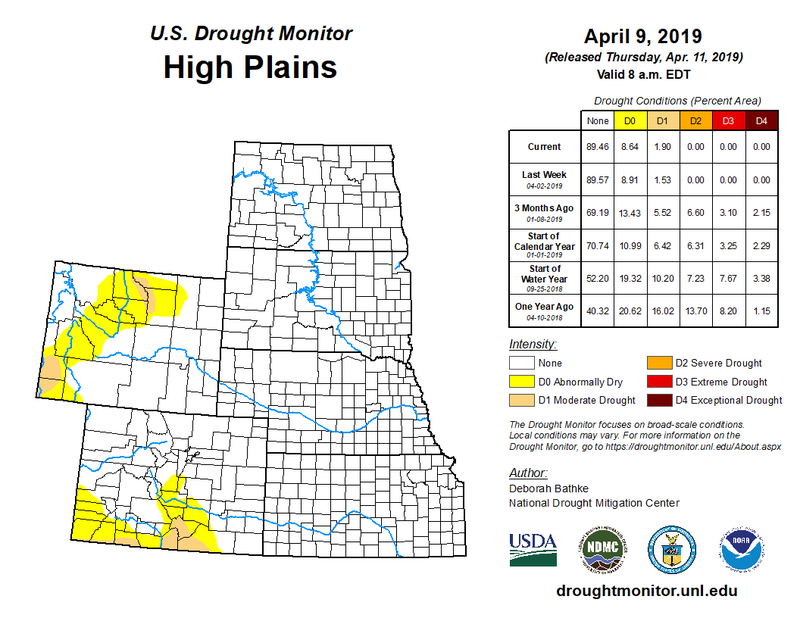 Another powerful low pressure system traversed the central plains last week bringing blizzard conditions to parts of Colorado, Nebraska and northwest Kansas. Meanwhile, the storm spawned showers and severe thunderstorms in north central Kansas and high winds elsewhere. 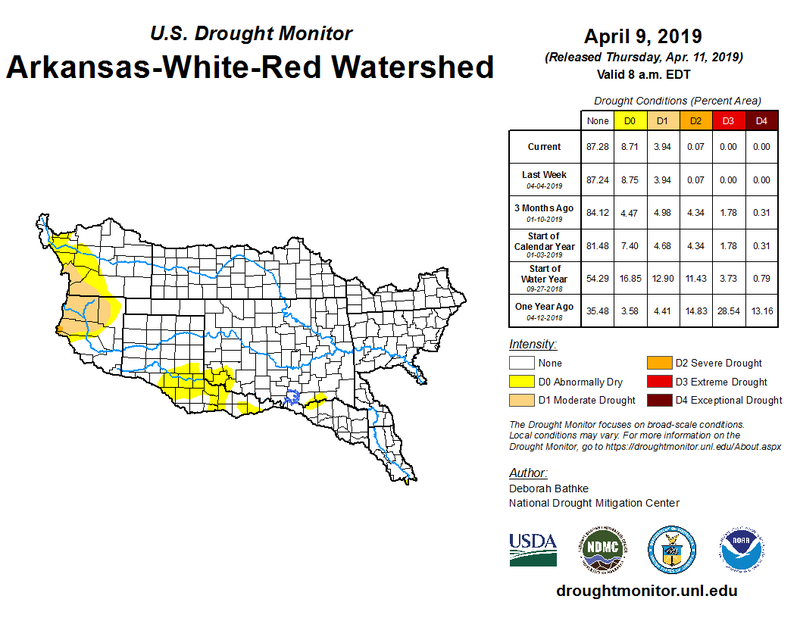 The National Weather Service issued a Red Flag Warning for several counties in western Kansas last week due to the high threat index for wildland fires associated with the system. At the direction of Kansas Governor Laura Kelly, the Kansas National Guard deployed six UH-60 Black Hawk helicopters on Tuesday in key locations to expedite wildfire assistance, should they be needed during high winds and hot temperatures. 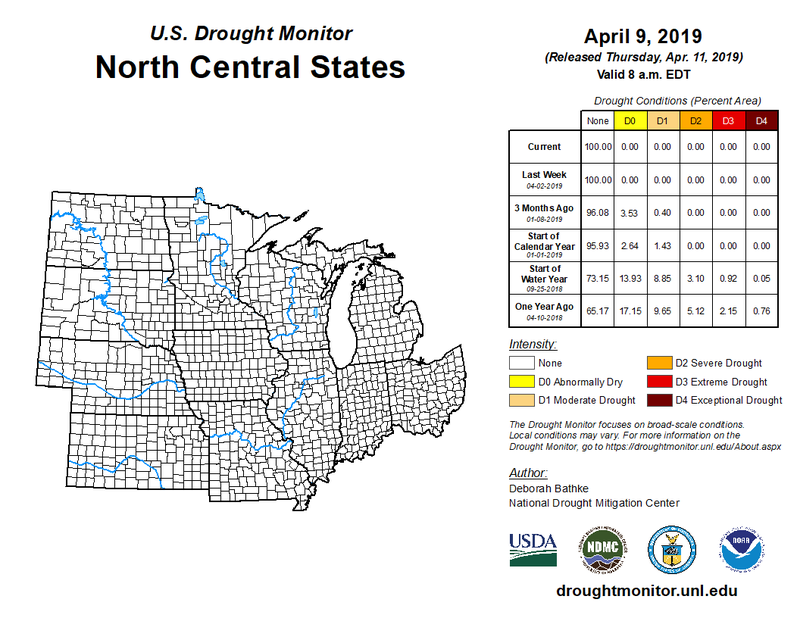 Overall, drought conditions continue to improve nationwide as depicted on the latest U.S. Drought Monitor. 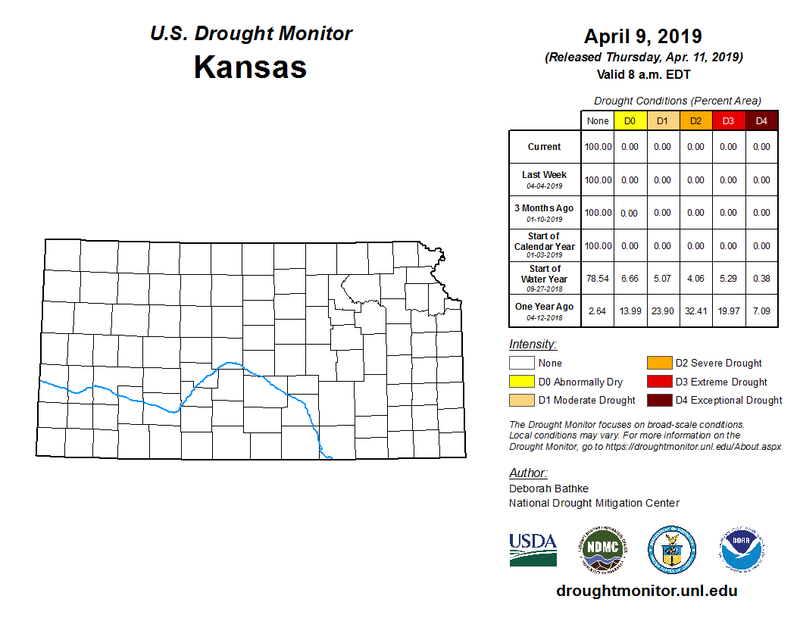 Kansas remains drought-free. 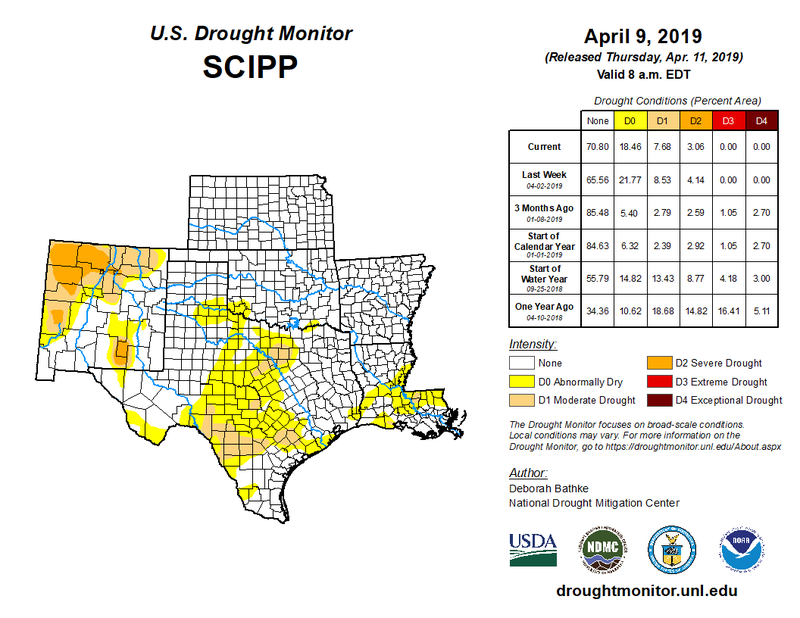 However, drought conditions continued to degrade in parts of north Texas, which missed out on recent rainfall and where precipitation and soil moisture deficits continue to build. El Niño continued during March 2019, as above-average sea surface temperatures (SSTs) persisted across the equatorial Pacific Ocean. According to the NOAA/CPC/NCEP/NWS update released last week the "Great Puny El Niño of 2018­-19" will likely remain through the summer and possibly continue into the fall. Subscribe to this weekly newsletter by e-mail to krwa@krwa.net with subject "subscribe krwa e-news."